We’re giving seven lucky readers an exclusive The Elf on the Shelf®goody bag straight from the North Pole. 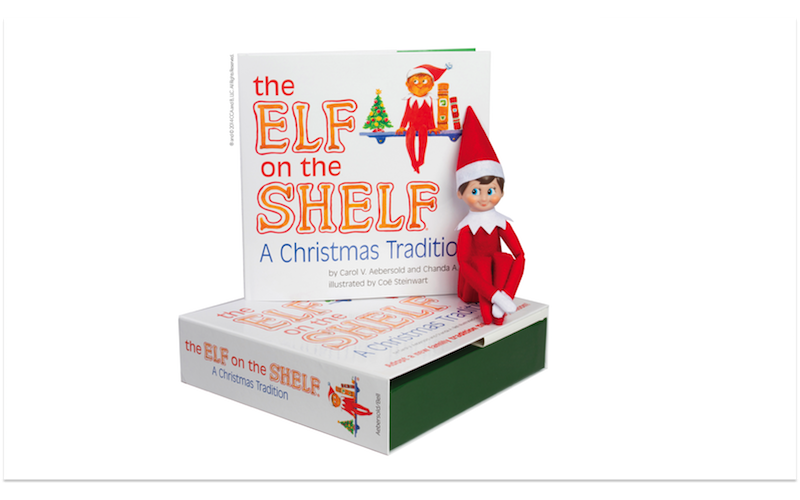 This magical prize includes the The Elf on the Shelf®: A Christmas Tradition, which comes complete with keepsake box, enchanting children’s storybook and a Scout Elf - the original Christmas elf. This special prize bundle also includesScout Elves at Play ® Stick Quick, Scout Elves at Play® Peppermint Balloon Ride and aNorth Pole Breakfast™ Party Pack! Families can adopt their very own Scout Elf just in time for the festive season. The Elf on the Shelf®: A Christmas Traditionis an enchanting children’s storybook about special Scout Elves sent from the North Pole to help Santa manage his nice list. In the run up to the festive season, families can adopt a Scout Elf from adoption centres across the UK; once home and named the Scout Elf receives its Christmas magic, meaning they can fly to the North Pole each night to update Santa on all of the day's activities.Each morning, Santa’s Scout Elf will return to the family home; landing in a different place – children love to wake up and look for their Scout Elf each morning. For memorable moments, families will love the Scout Elves at Play® Stick Quick. This one-of-a-kind kit inspires Scout Elves to create quick-and-easy scenes throughout the season! For the more adventurous Scout Elf, the Scout Elves at Play® Peppermint Balloon Ridewill have their spirits soaring as they use this balloon ride to create spectacular moments in your home. And winners will also receive a North Pole Breakfast™ Party Pack, which brings a touch of the North Pole into homes at Christmastime. This all-inclusive set includes everything needed to throw the ultimate Elf on the Shelf-themed breakfast party, from party hats and decorations, to a detailed game booklet, party cups, plates, themed-table cover and much more. For more information about The Elf on the Shelf® range or to shop at Santa’s store, please visit the website!